Youssef Atwa worked on World Bank projects at the public sector for almost 13 years in West Bank & Gaza including Emergency projects, Social Safety net Projects, Municipality Development projects, Capacity Building Projects, and Procurement Reform Projects, ultimately gaining experience in Budgeting, Disbursements, Procurement, Operations, Coordination, & Project Management. He is always striving to bring 100% to the work that he does. Youssef holds a Bachelor's degree from the Islamic University in Accounting, and an MBA Specialized in Finance from Central European University in Budapest. 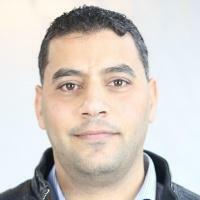 Since Joining DAI, Youssef is appointed as a Gaza Office Coordinator for the Finance for Jobs Project (F4J).